I’ve always been curious about what’s happening backstage. Here’s a backstage look at what went into photographing these absolutely beautiful ballerinas. Many of the photographs on this website are not in the book – they are extras. 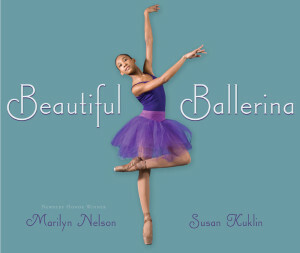 To illustrate this book I chose four ballerinas – ranging in age from three to seventeen – to interpret Marilyn Nelson’s profoundly beautiful poem. 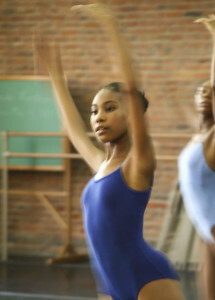 What better dance company to feature than The Dance Theatre of Harlem. Our editor, Andrea Davis Pinkney, proposed the idea to The Dance Theatre of Harlem’s board and its founder, the extraordinary dancer Arthur Mitchell. This is a wrap! 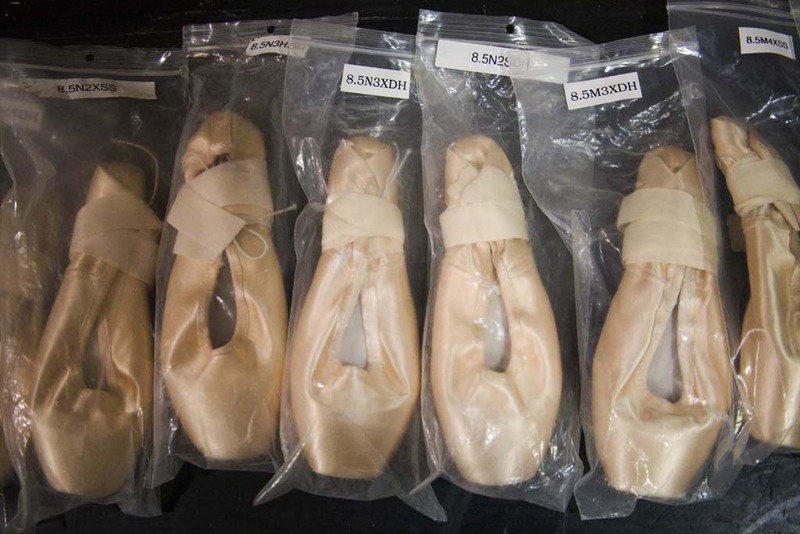 Pointe shoes await their dancers. This was particularly exciting for me because Arthur Mitchell was one of the great Balenchine dancers. And it was Mr. B who gave me my start as a dance photographer. 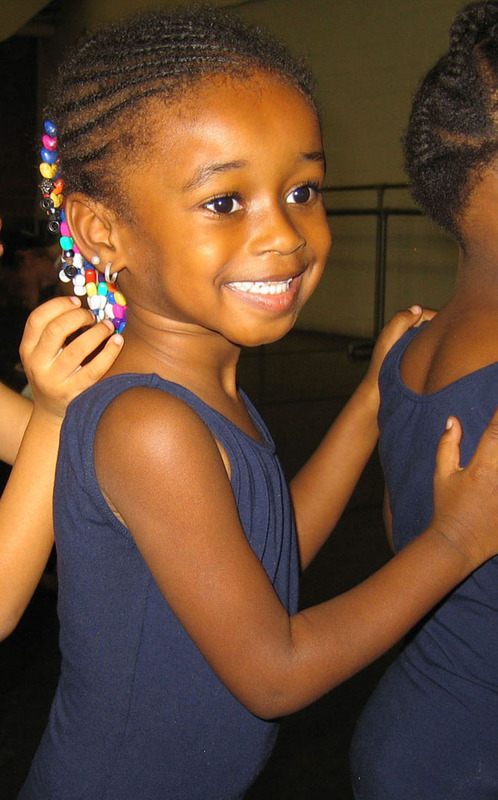 With Andrea and Endalyn Taylor’s help, I began visiting classes to search for four perfect ballerinas.There was so much talent it was hard to make a decision. I watched the way the students moved, their understanding of technique, and their ability to take directions. I was particularly concerned that the youngest dancers had staying power because they were in for long days on the set. Andrea, Endalyn and I always agreed with my choices. Once the dancers were chosen, we moved on to costumes. 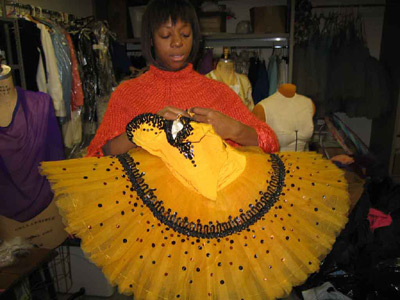 Each costume needed to match the personality of the dancer as well as represent the “feel” of the poem. Endalyn took me to DTH’s costume shop. 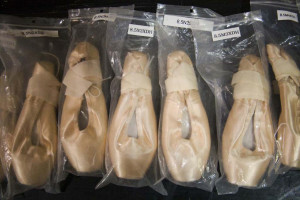 Costumes from so many memorable ballets were right in front of me, carefully hung on long, metal rods. There were mounds of material – silks, satins, and tulle. The room was filled with color. I thought I had died and gone to heaven. I wanted to try on everything and pirouette across the room. But there was work to be done. 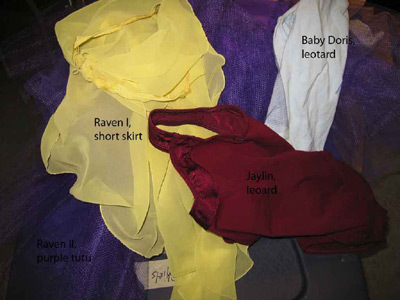 In the end, we chose simple leotards and tutus. We picked colors that would best represent the dancers’ personalities. 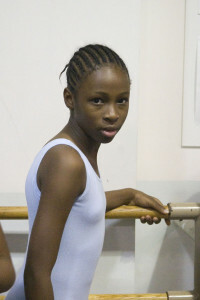 Each dancer would wear something slightly different, ending with the eldest ballerina, in full tutu. [This visual concept changed a bit once the shoot began.] I emailed this photograph to Andrea. She agreed that these colors will work well. My assistant and good friend, the photographer Marshall Norstein, carried equipment and set the lights. “Shoot slower!” he’d yell, “you’re going to burn out the lights!” Click below to see what the set look like and what my camera saw. Marshal has many talents. He kept the children busy with games and food, all the while taking these photos of me working. Thanks, Marshall.